We’re Tom and Anna- founders of Adventure In You, one of the Top 20 Travel Blogs in the World. In under three years, we built our travel blog to over half a million readers per month, earning over six figures a year. Never in a million years did we think it was possible to earn good money doing something we love, which is why we decided to start this Travel University. We aim to empower a new breed of travelers who want to create their dream lifestyle, by helping them profit from their passions. We create actionable courses which walk you through the exact steps on how you can start making money through travel blogging or travel videography. Together with top professionals, we teach you how to build your tribe and monetize your passions, and grow a business...all while having the freedom to travel around the world. Get sponsored to travel the world and get the exact email pitch templates that landed us awesome brand deals including free hotel stays, free products, and more- all within our first month of blogging! 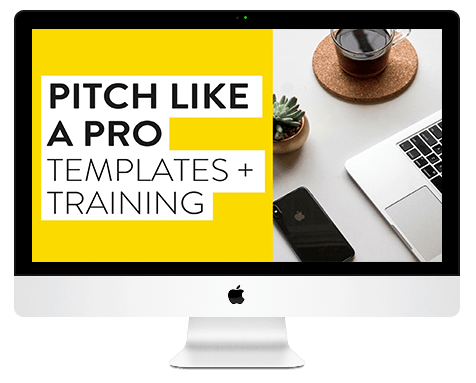 This course includes video training on how to craft the perfect pitch as well as a bonus section on how to make money from Sponsored Posts. WANT TO LEARN HOW TO TRAVEL FOR LONGER? Curious about how people make money from their blogs? Join thousands of people who have attended our FREE training on how to start making a full-time income from blogging. Regardless if you already have a blog or haven’t even started yet, click the button below and get access to this jam-packed workshop that will help you jumpstart your blogging journey.